Each season there’s a new makeup must-have. We’ve seen matte lips, heavily contoured cheeks and super graphic eyeliner. 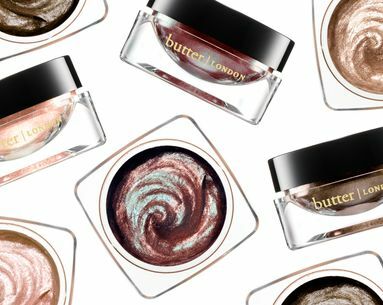 This fall it’s all about metallic eye shadow that’s way more sophisticated than it is teeny bopper—think super pigmented formulas that shimmer and shine with depth as opposed to glittery shadow that’s better outfitted for a teenager. “Metallic shadows are fun, bold and daring and are a sure way to make a statement,” says Joel Canales, Hourglass director of artistry and training. 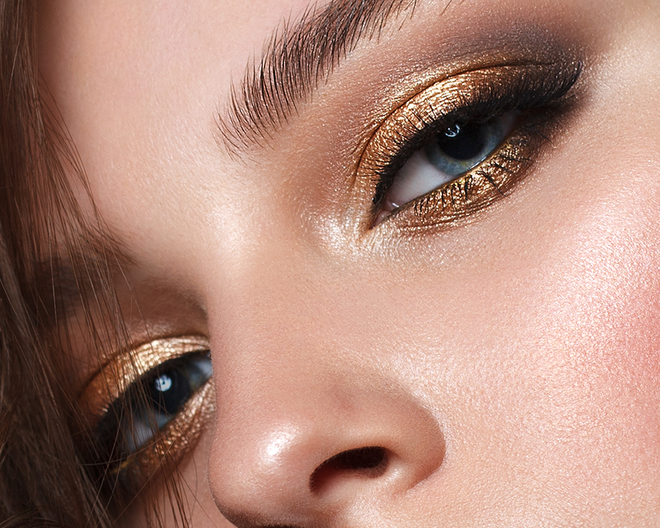 According to makeup artist Ashlee Glazer of Smith & Cult, this time around metallic eye shadow is all about tones of rose gold, silver and gold. On the runway, metallics were worn on not only the eyelids (sometimes all the way up to the brow bone), but also the cheekbones, lips and even the brows. “While these looks are great for Fashion Week, they don’t work for everyday life. Instead, stick with wearing metallic on the eyelids,” adds Canales. Celebrity makeup artist Sonia Kashuk also says that this next generation of metallic shadow is different than years past. "What we are seeing now are shadows that are more transparent and with more dimension. They are more iridescent and prismatic in a sense." If you’re going to wear metallic shadow during the day, Glazers says to try a light wash of color. 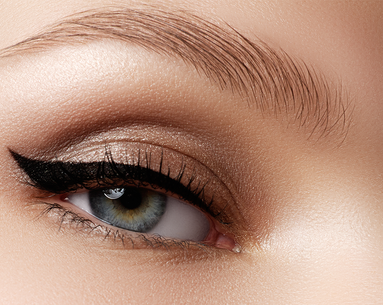 For night, step it up a bit with something creamier and heavier to really emphasize your eyes. And, of course, never underestimate the power of a good eye shadow primer (Urban Decay Eyeshadow Primer Potion ($20) and MAC Pro Longwear Paint Pot in Painterly ($22) are our favorites) or a waterproof concealer on your lids. “This acts like double-sided tape, grabbing onto the lids and also grabbing whatever makeup you lay on top. You don’t want a glitter bomb all over your face,” says Canales. In terms of brushes, metallic shadows seem to be most compatible with synthetic brushes. “A fluffy blending brush gives more of a sheer wash, which is great for solid metallic shadow. When you want maximum pigment, use a shading brush,” says Glazer. Or, you can pat the shadow onto your lids using your fingers. 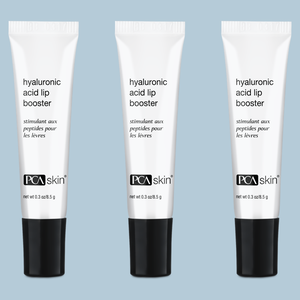 Play around with both cream and powder formulations until you find the exact formula that works best for you. Creams tend to be more vibrant in color, whereas powders are more subtle so you’ll really want to take into consideration the look that you want to achieve. "I really like to use both crème and powder together," says Kushuk. Crème shadow is great as a base and then you can use the powder to build the dimension and layer on top of the crème. It helps extend wear as well." Some of our favorite metallic shadows for the season include Natasha Denona Eyeshadow Palette ($95), NARS Dual Intensity Eyeshadow in Rigel ($29) and The Estée Edit Metallishadow Creme + Powder ($25). This beats all the other hacks of the year. Our editors pick their favorite looks from NYFW.